It’s high time you give your home’s unsightly spots and items a second chance. With every home comes the good, the bad, and the ugly. Today, we’re taking a look at the latter – the unsightly bits in every Malaysian home that noone really likes to think twice about. 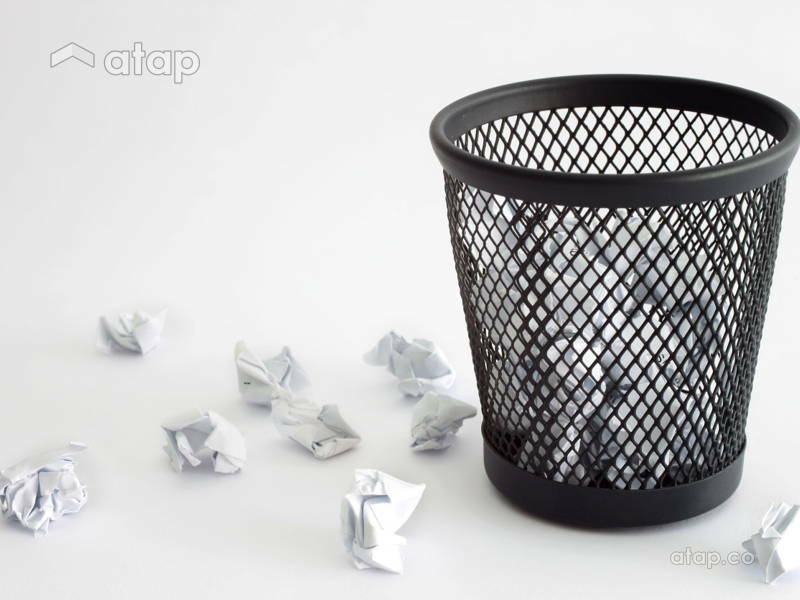 From wet waste bins, to trailing cables and dusty AC compressors, we’re here to offer second chances to those spots you’ve probably given up on. With all our precious electronic devices come the confusing rojak of wires, rat-nest of USB cords, and the mild terror of not being able to find your charger when you need it most. The simple solution is to make sure the mess of tangled wires occurs in one accessible place that is out of sight. Simply grab a gift-box or shoebox that is easy on the eyes, cut a hole in the back and fit a power strip inside. 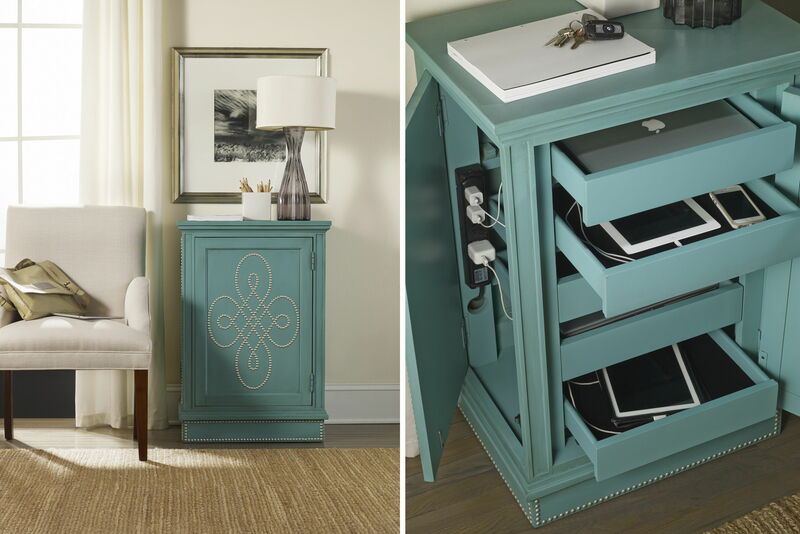 Keep things ultra organiSed and sleek by condensing your charging needs into one or more drawers. Similarly, you’ll need to create a hole in the back of a top drawer. Wire a power strip into the drawer that can plug into a wall outlet down the back. 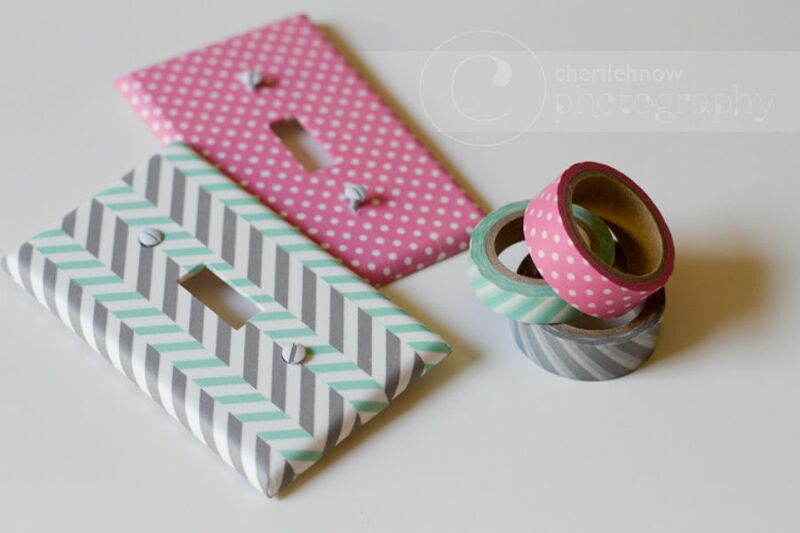 Create dividers within the drawer for your different items and voila! Never lose track of those chargers again. 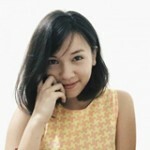 We’re sure most Asian kitchens can relate to the pungent mess of food scraps from meal times. Can something be done? 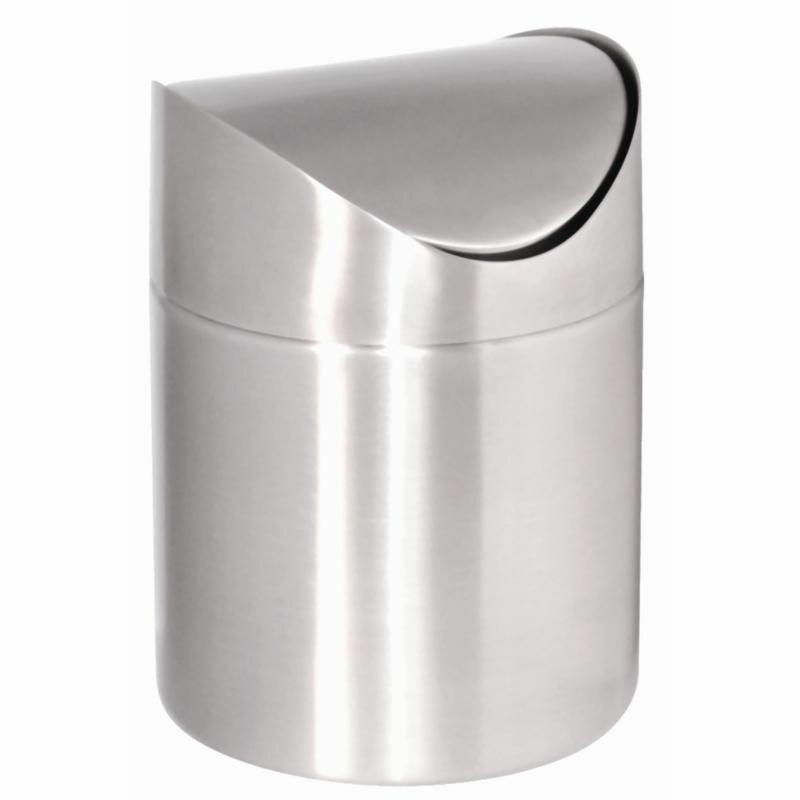 Composting bins are the way to go, but that doesn’t mean they need look grubby. Head online to find something cheap and cheerful that adds a little pizazz to your countertop. You can find plenty of options on Lazada. If you’d like to maximiSe that space under the sink and get your compost scraps out of sight, opt for a rolling recycling bin in your kitchen counter or island. 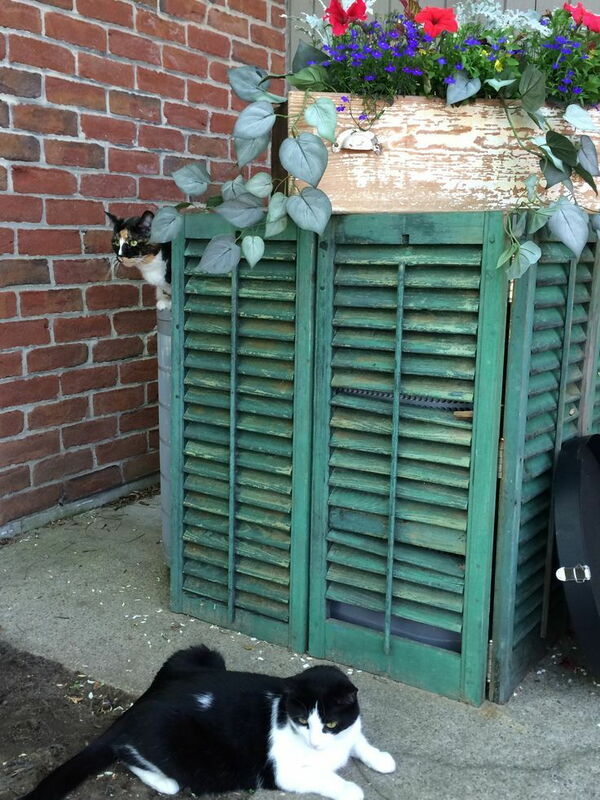 Just make sure you’ve got a lid on each to keep bugs out. For a next level hack, check out the drawer-converted-chopping board below. Behind every purr of an aircon is the eyesore that is its compressor. Attach a magnetised blackboard to the front of your compressor. If you’re struggling to find one in the right size, simply measure up a wood-board at your nearest home renovation store and paint it with chalkboard paint before mounting magnets to it. For a window AC unit, hanging café-style curtains on a tension rod in front of the compressor is a great way to tuck it away from sight. For an AC unit outside, use lattice blinds to form a wall or box around it. Just be sure your unit has sufficient ventilation. Often a graveyard for tacky souvenir, promotional magnets, and finger smudges. Organise a clean-up of your fridge door, getting rid of all those magnets you don’t really like. Photos of loved ones and drawings don’t need to be simply stuck on with blue tack. 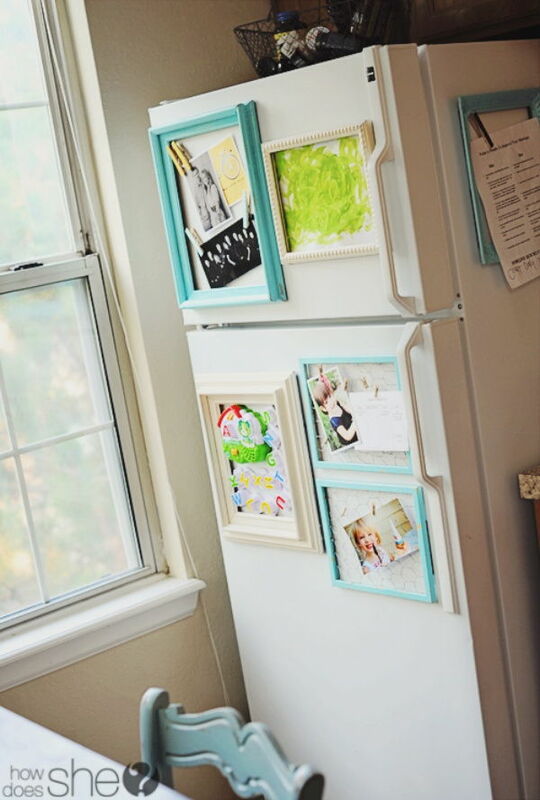 Spray paint some cheap frames and attach magnets to their undersides for a more polished look. 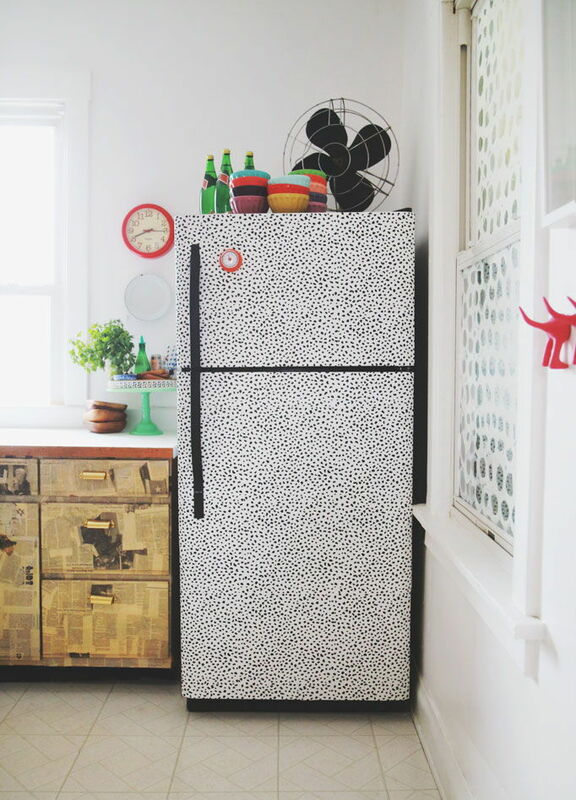 Wallpapering your fridge can be a little pricey. However, the results are stunning. We’re talking about any control panel mounted to the wall. Usually yellowed from the sun or prone to grubby fingerprints. Is there anything that washi tape can’t improve? It’s a great way to add colour to light plates and control panels without doing lasting damage or costing much at all. If you have a framed or mounted painting in the house that you’re happy to move, this option won’t cost you much either. Simply place the painting on top of the switch so that it is covered. Of course, this option works best for those control panels you don’t need to use daily. You know, the lineup of bottles in various colours. Often slipping and sliding on a scummy shelf. First things first, try and clean up the shelves. Do you really need ten half-empty bottles of shower gel? 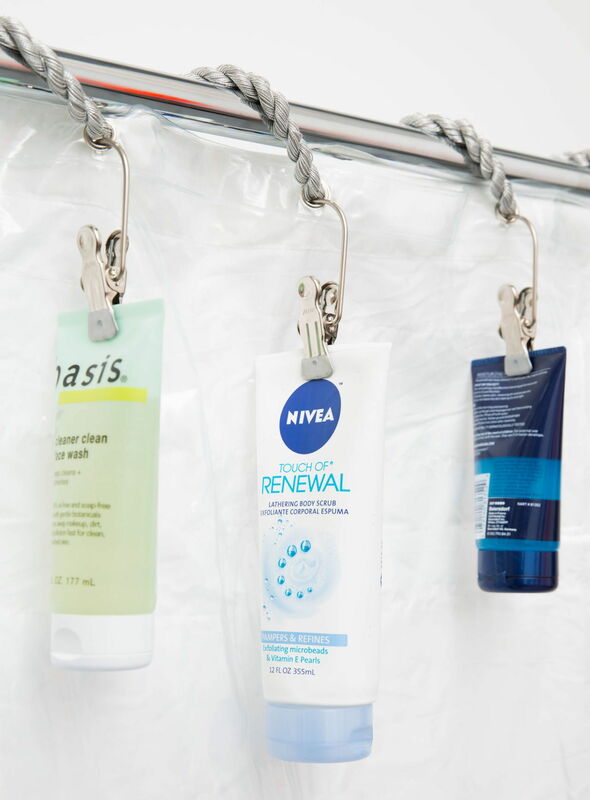 Transfer what you can back to the dry storage areas of your bathroom and use curtain rails to clip the remaining bottles to the shower rail, keeping them within easy access. 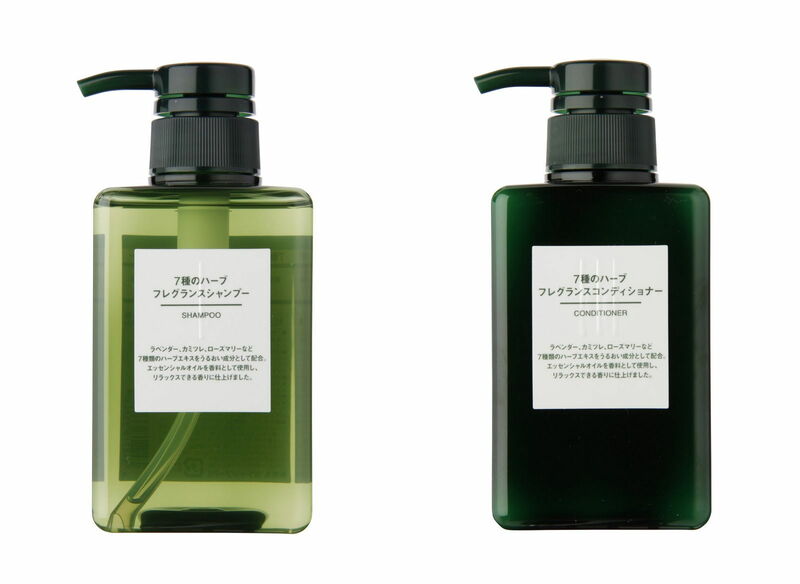 If you like the thought of hotel-style showers , you can swap out unsightly shampoo and conditioner bottles entirely and replace them with stylish bottles from Muji or Daiso. Who doesn’t love that minimalist Japanese aesthetic? Squeaky clean.